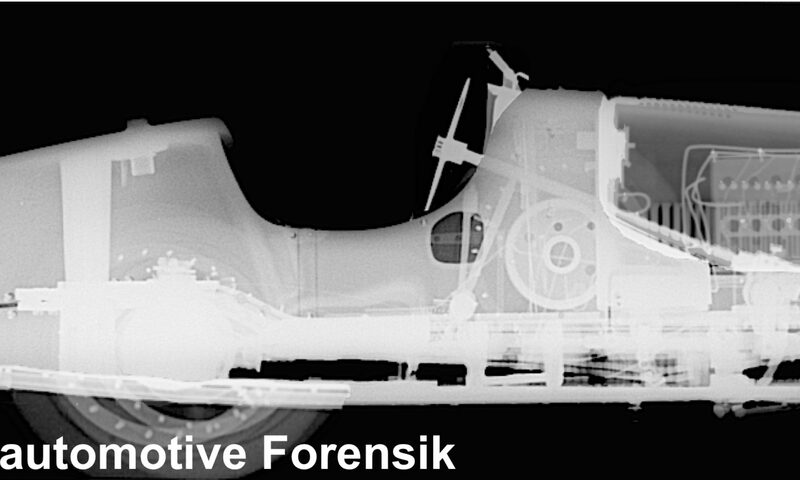 Why do you investigate a vehicle forensically? Occasionally, the question of the identity of a vehicle can not simply be answered. Is the Porsche 911 RS actually born “RS”, or is the Bugatti from the 1930s actually a Bugatti? These questions can only be answered with modern methods, in a judicially responsible way. Which questions about the vehicle can be answered concretely? Was atypical welding performed on the vehicle From? Are the statements and measurement results legally enforceable? All results must always be reproducible and traceable. Therefore special cleaning methods have been developed for the examination centers and extensive training has been completed. Furthermore, the institute works together with independent specialists from different fields. Who does the institute work for? The institute is not affiliated to any expert or monitoring organization and is completely independent. Anyone, whether private owner or expert, can contact the institute. How much does a forensic examination of a vehicle cost? In the tab “costs and prices” the individual services are listed. Normally the costs are between less than 1.000 € and max. 6,000 € for complex questions. Does the investigation of the vehicle have direct legal consequences? The client alone decides on the use of the findings. The Institute is not under any authority or monitoring organization and may not use the results. Can I be sure that the results will not be passed on? The institute works to the highest standards of discretion. Neither concrete test results nor personal data are passed on.